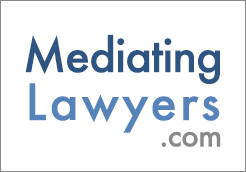 In a recent video entitled Mediation 101 produced by the TV show Fairly Legal, Kate Reed (the mediator) explains that the goal of mediation is to be fair. I continue to applaud this show and I don’t want to nitpick it to death, and I have the same mission for this video. Well I think it’s good that Kate said that mediation is fair. I think for the most part mediation is a much fairer process than most other forms of justice. And wouldn’t we rather that the public arrive in mediation thinking it’s a fair process, with their guard down, ready to negotiate in good faith? And even if we as mediators are guiding things to make up for any existing power imbalances, shouldn’t the parties feel that the process is fair anyway? I say and again I say, “Keep spouting the magic of mediation, Kate!” Any misconceptions she puts out there I’ll be more than happy to discuss with the clients as they are walking in the door, so long as the show keeps clients walking in the door!